One of the ways you can help your children cope with JM is by giving them a sense of control over their doctor visits and treatments. Giving children their own checklists makes them a part of the process and helps them to remember to address any concerns they might have. 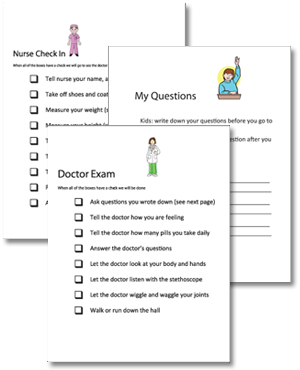 You can use these checklist "as is", or customize them for your child and medical situation.